On May 12 astronomers at the Planetary Habitability Laboratory using the Arecibo Observatory in Puerto Roco , one of the world’s largest radio telescopes detected "strange signals" coming from a Ross 128, a red dwarf star that's not yet known to have any planets about 2,800 times dimmer than the sun located about 11 light-years from Earth. Arecibo, the setting for Carl Sagan's sci-fi alien encounter film, Contact,, has helped guard our planet from the threat of asteroids and has studied some of the most remote bodies in the cosmos and been used to make countless invaluable astronomical discoveries. Abel Méndez, an astrobiologist at the University of Puerto Rico at Arecibo, said he and his colleagues realized that there were some very peculiar signals in the 10-minute dynamic spectrum that we obtained from Ross 128, observed May 12 at 8:53 PM AST (2017/05/13 00:53:55 UTC). The signals consisted of broadband quasi-periodic non-polarized pulses with very strong dispersion-like features. They believe that the signals are not local radio frequency interferences (RFI) since they are unique to Ross 128 and observations of other stars immediately before and after did not show anything similar. "The field of view of [Arecibo] is wide enough, so there is the possibility that the signals were caused not by the star but another object in the line of sight," Méndez said, adding that "some communication satellites transmit in the frequencies we observed." Mendez is a planetary astrobiologist and NASA MIRS Fellow and the Director of the Planetary Habitability Laboratory, a scientific and education laboratory dedicated to studies of the habitability of Earth, the Solar System, and extrasolar planets. The discovery of the Ross 128 signals occurred while the team at the Planetary Habitability Laboratory at Arecibo was conducting a scientific campaign from the Arecibo Observatory to observe red dwarf star with planets. These observations might provide information about the radiation and magnetic environment around these stars or even hint the presence of new sub-stellar objects including planets. Observations were done between April and May 2017 in the C-band (4 to 5 GHz). 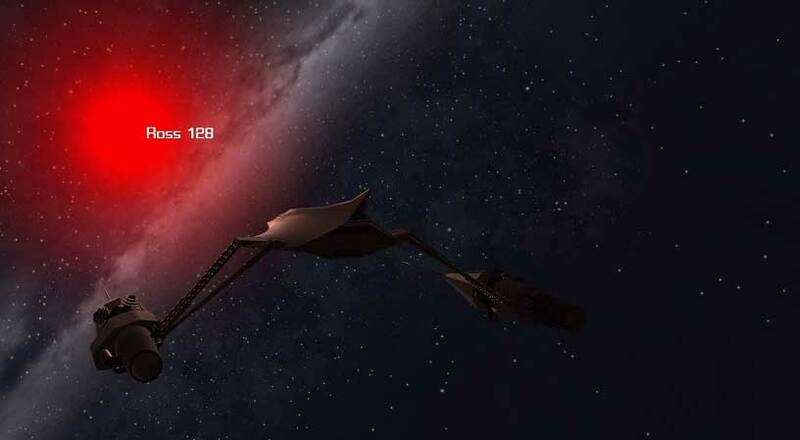 The Arecibo researchers say there are three main possible explanations: they could be (1) emissions from Ross 128 similar to Type II solar flares, (2) emissions from another object in the field of view of Ross 128, or just (3) burst from a high orbit satellite since low orbit satellites are quick to move out of the field of view. The signals are probably too dim for other radio telescopes in the world and China's FAST is currently under calibration. Each of the possible explanations has their own problems. For example, Type II solar flares occur at much lower frequencies and the dispersion suggests a much farther source or a dense electron field (e.g. the stellar atmosphere?). Also, there are no many nearby objects in the field of view of Ross 128 and we have never seen satellites emit bursts like that, which were common in our other star observations. The recurrent alien-message hypothesis is at the bottom of many other better explanations. But, the mystery remains and the three main explanations are as good as any at this moment. Fortunately, the researchers obtained more time to observe Ross 128 and we might clarify soon the nature of its radio emissions. Méndez said Arecibo is going to continue to monitor Ross 128. "Success will be to find the signal again" at the star's location but not in surrounding directions, he said. "If we don't get the signal again then the mystery deepens." Seth Shostak, a senior astronomer at the SETI Institute, confirmed that the group is "well aware of the signals" and might use its powerful Allen Telescope Array in California "to check them out." There's really only one compelling signal from outer space we know of that might come from aliens: "[T]he WOW signal," Shostak said. "That one is still quite odd."